I grew up watching Star Trek (TOS) and graduated with Star Wars. As much as I enjoyed these media blockbusters and their multitudinous spin-offs, they left an unfortunate legacy in my psyche. 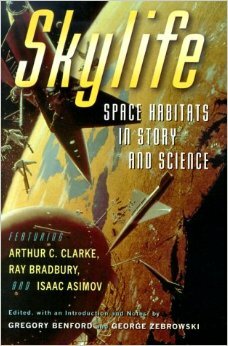 When I write science fiction, my mind is flooded with romantic images of faster-than-light spaceships, light sabers and “beam me up Scotty!” My imagination, imprinted as a child, tends to go for the fantasy elements of space opera rather than the realistic extrapolations of known science. There’s nothing inherently wrong with space opera, but when I want to write space stories with a touch of reality, I have to abandon my roots and look elsewhere for inspiration. Chances are, if you grew up watching television, you share my affliction. To help those of us caught in media brainlock, I recently set forth on a journey to expand my SF consciousness. Luckily I didn’t have to go the Nepal—just to my local Barnes & Nobles—to discover four delightful books to help me come up with a fresh answer to that age-old question “Where do your ideas come from?” From imaginative anthologies about living in space and contemplating the universe to the borderlands of today’s science, to the practicality of putting it all together in a story, these four books can help ban media ghosts—or, at least give your creative side something new to mull on. I found the first book in the SF anthology section: Skylife: Space Habitats in Story and Science (Harcourt) edited by Gregory Benford and George Zebrowski. 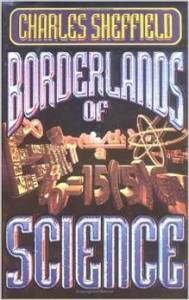 Benford is a physicist, author of over a dozen novels and two-time Nebula award winner. 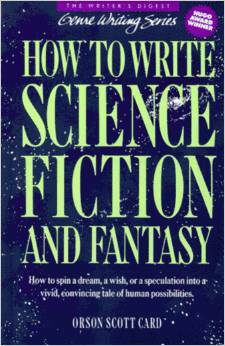 Zebrowski’s credits include science fiction novels, short fiction collections, anthologies and a book of essays. In this collection of fourteen prescient essays and stories, they plot the course of humanity as it takes its first steps away from Cradle Earth and colonizes space. Benford and Zebrowski introduce the book with a piece on how space travel and living have been portrayed in literature from the late 19th Century to the present day and end with a selected bibliography of space stations and habitats in fiction, non-fiction, and visual media. 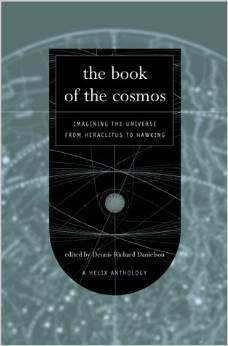 The book contains 350 pages of visionary writing by SF luminaries. Larry Niven explains his Ringworld as well as Dyson spheres, multi-generation ships, and flying cities in “Bigger Than Worlds.” Isaac Asimov explores the possibility of moon colonies and hollowing out asteroids for habitation in “Spomelife: The Universe and the Future.” Arthur C. Clarke foreshadows life on a space station in “The Other Side of the Sky.” In this book you learn from the masters how to put “science” back into “science fiction.” The eight vintage color plates showing artists’ renditions of space living also go a long way to replacing stray images of the Millenium Falcon and Deep Space Nine. 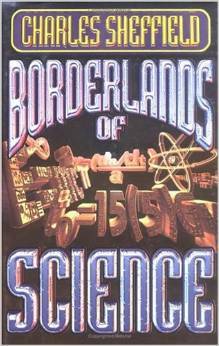 For more practical inspiration, take a look at Borderlands of Science: How to Think Like a Scientist and Write Science Fiction (Baen) by Dr. Charles Sheffield. This book surveys the current state of physics, chemistry, and biology and how they can be applied to such favorite science fiction topics as the beginning and ending of the universe, space flight and colonization, alien biology, computer and robot design, cloning, immortality, and future war. Sheffield, with a Ph.D. in physics and both a Hugo and Nebula under his belt, generously passes out writing ideas by the handfuls. He also indicates previous stories where an idea has been explored in SF so you can avoid well-trod territory. Throughout Borderlands, Sheffield points to the edges of the unknown as opportunities for stories. Computers are in their infancy. Genetic research is on the verge of cracking the aging problem. Nanotechnology—tiny, self-replicating, programmable machines that could build structures, repair human tissue, and create food from non-biotic components —are also ripe for fictional exploration. Sheffield lays to rest FTL flight and instant transportation. No more “hyperspace” or “beaming” but I found his mass drivers, ramjets, and laser rockets much more interesting. And he did leave open the possibility of instantaneous communication over vast distances. Finally, brimming with ideas, I picked up a Writer’s Digest Book in the Writing Reference Section to help me put it all together: How to Write Science Fiction and Fantasy by Orson Scott Card is a venerable but excellent resource. Card, author of books, plays and short stories, won both the Hugo and Nebula awards for a novel for two consecutive years—something never done by any other SF author. Card is also a talented teacher with good practical advice for writers of all kinds. He divides the book into five sections ranging from exploring the differences between SF and Fantasy to the practical business of selling your work. Section two is the most useful part for people looking for inspiration: Card walks the reader step-by-step through world building including idea generation; laying down the rules of your universe; developing a back story; and inventing language, geography, and social rules. These books should help banish the ghosts from that long ago and far away galaxy. Now it’s time to start writing about a universe of your own.